Looks like the partnership of OnLive and Google TV is finally bearing fruit, as OnLive has announced that the OnLive cloud gaming service is coming to LG Smart TVs via Google TV. This announcement follows a similar announcement by rival cloud gaming service Gaikai early this year. OnLive is demonstrating the OnLive cloud gaming service on the next-generation LG Smart TVs with Google TV (G2 Series) from LG Electronics at the Electronic Entertainment Expo (E3) this week. You can drop by OnLive's booth #535 in the South Hall of the Los Angeles Convention Center from June 5-7 to get a glimpse of the integration of OnLive into LG Smart TVs via Google TV. Capitalizing on the power of LG’s L9 dual-core processor, the service will make hundreds of top-tier video games from more than 60 publishers playable on-demand, without a console or PC. When the service becomes available, LG G2 TV owners will also enjoy free instant access to exclusive OnLive social features such as worldwide massive spectating, the brand-new OnLive MultiView spectating capability, Brag Clip video recording, voice chat with other players and spectators, and Facebook sharing. With just a few taps of the Universal OnLive Wireless Controller or any compatible game controller, LG G2 TV owners will be able to jump in and play OnLive’s growing library of hundreds of top-tier, console-class video games on-demand. Instant demos are available for nearly every game—from eagerly anticipated indie titles like Ravaged to hot blockbusters such as the upcoming Darksiders II—so players can experience up to 30 minutes of each game free before deciding what to buy, and then continue playing where the demo left off. 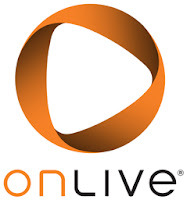 Games can be purchased a la carte, or players can subscribe to OnLive’s revolutionary PlayPack subscription service for unlimited on-demand play of more than 220 games, with more titles added weekly. 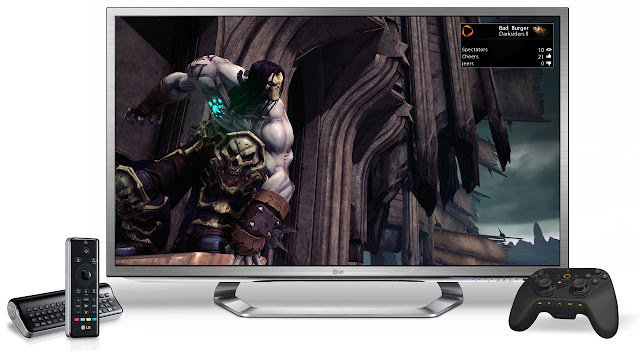 When players are away from their OnLive LG TV, all of their OnLive games are available—with full game saves and achievements—on almost any PC or Mac, tablet or smartphone wherever there is broadband, whether in a different room in the house, or in a different country in the world. 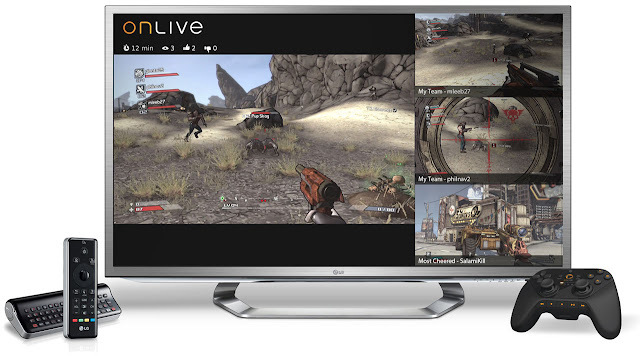 Exclusive to OnLive, users can now even spectate and chat with friends and teammates in OnLive’s new MultiView mode while continuing to play their own game, adding an engaging new social dimension to OnLive gaming. With MultiView, gamers will not only be able to take co-operative tactics to all-new levels by virtually looking over their teammates’ shoulders as they play, but also keep tabs on friends in any single player or multiplayer game in play on the service. 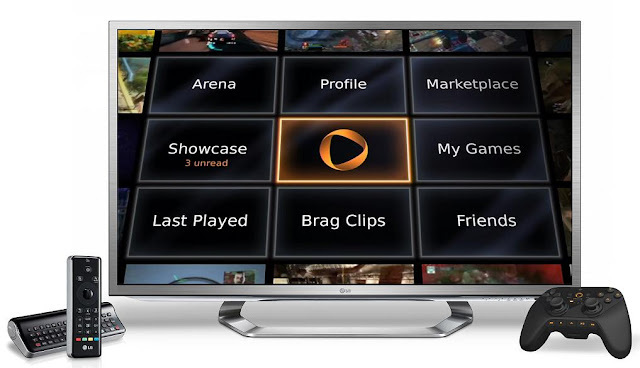 The LG G2 Series, which combines the power of the Google TV platform with the speed of LG’s new L9 dual-core chipset and a user-friendly interface, is expected to be the first LG Smart TV with Google TV model to make OnLive on-demand gameplay an integral part of the consumer experience. In the future, OnLive will also enable 3D capability for supported games on LG Cinema 3D Smart TVs with LG Cinema 3D Glasses via a software update.